Maxx Media (S) Sdn. Bhd. is a young and dynamic company whose core strength resides in organizing premium events, publishing and ICT. Our goal is to present quality lifestyle events in the most innovative and appealing manner to inspire and connect with the constantly growing affluent Malaysia. Maxx Media (S) Sdn. Bhd. is the largest property media network in East Malaysia. The company’s main focus is solely on properties; with products that consist of a monthly publication (Property Hunter Magazine) and an interactive property web portal (www.PropertyHunter.com.my) & mobile app, allowing the public to search for the latest properties available on the market, find trending news and upcoming events in Malaysia. In January 2017, Maxx Media (S) Sdn. Bhd. 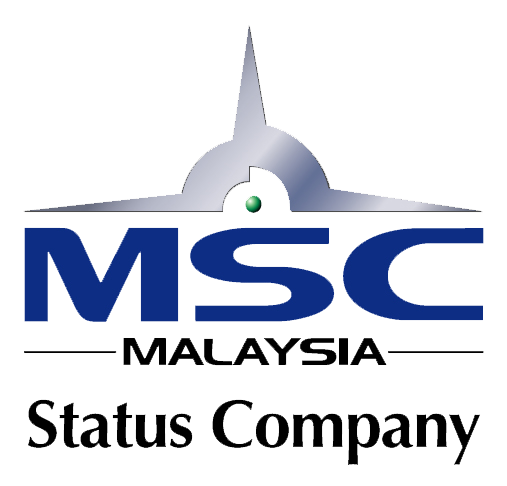 has awarded the prestigious MSC Status by Multimedia Development Corporation (MDeC), and we are the first full-owned Sabahan company to receive such status. The company also organizes events; a large-scale, annual exhibition series tour widely known as 'PH Property Expo' that travels to major cities across East Malaysia, such as Kota Kinabalu, Sandakan, Tawau, Kuching, Miri and Sibu; solo private events which highlight premium properties to a highly-targeted audience and PIHex which stands for Property Investment and Home Expo - which is a mid-scaled property exhibition series that covers major cities as well as rural towns in Sabah. Maxx Media (S) Sdn. Bhd. debuted Property Hunter Magazine on January 1, 2012. The publication hit newsstands in Sabah and subsequently, the inaugural edition of PIHex in Kota Kinabalu, Tawau, and Sandakan were organized in the same year. Maxx Media (S) Sdn. Bhd. strives to bring added value to their clients by providing services related to advertising, marketing and events, which complements seamlessly with the high expectations in today’s competitive and sophisticated market. Backed by a team of dedicated and dynamic professionals in their respective fields, Maxx Media (S) Sdn. Bhd. prides in delivering exceptional quality in all aspects. To become the most respected property media network, offering the best services in the property industry of East Malaysia. To provide the most comprehensive marketing solutions to our clients. To be the best property media platform in East Malaysia, providing quality content to our readers. To provide exceptional service, insight and knowledge to our clients and audience. To always be innovative with our products and ideas and to stay ahead of our competition. www.PropertyHunter.com.my is the leading property portal in East Malaysia that receives an average of 38,000 visitors per month. The website features the latest in property listings with interactive GPS (Global Positioning System), real estate listing functions and navigations, trending property news and updates from Malaysia and the region, user friendly interface and comprehensive information on property with integrated social media functions. Property Hunter Magazine is regarded by industry leaders as the most respected property publication and the go-to-source for real estate in East Malaysia. The magazine contains various features, articles and segments, such as: Industry News, Expert Advice & Perspectives, Exclusive Interviews, Property Events, Development Launches, Development Progress, Market Sentiments, Property Data and also Lifestyle. This exhibition series showcases some of the best development projects in the market and has raked-in a track record of over RM80 million of recorded event- day transactions from 2012 - 2016. Property Hunter Expo covers major cities and towns in East Malaysia - Sabah: Kota Kinabalu, Sandakan, Tawau and Sarawak: Kuching, Miri, Sibu. PIHex is a smaller-scale property exhibition series usually held in malls across major cities and rural towns of Sabah and Sarawak.